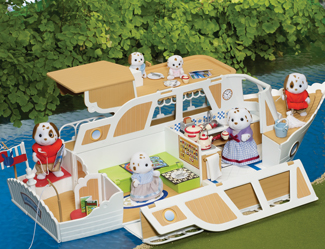 The Pleasure Boat unfolds to create different decks and play areas, with lots of storage compartments. There are specially designed areas for cooking, sleeping and sitting. The Marita May comes with an assortment of maritime accessories, perfect for life on the water. Figures and rowing boat not included.